Escape the hustle and bustle of Marrakech and head for the breathtaking Atlas Mountains, visiting the 4 valleys that make the region famous: Ourika, Oukaimeden, Sidi Fares, and Asni valleys, discover more captivating scenery by continuing on to beautiful Takerkoust Lake and the huge Kik Plateau. 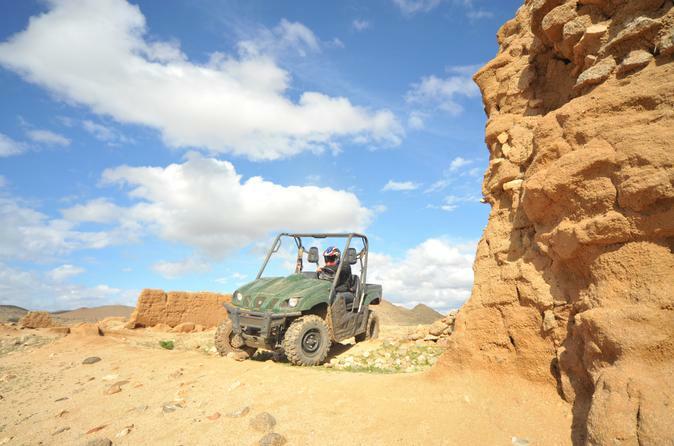 You'll also experience traditional Berber culture along the way! This day-long excursion from Marrakech provides you with the opportunity to encounter Berber village life firsthand as you make your way to the home of a Berber family in the High Atlas mountains, and an opportunity to ride a camel which is included. This is a highlight of any trip to Marrakech! 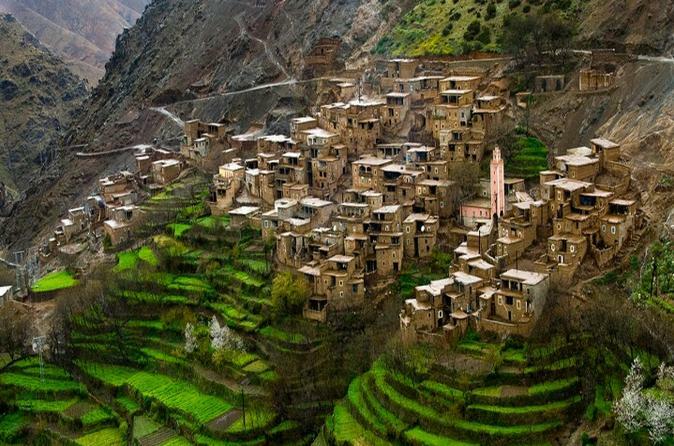 Discover the High Atlas Mountains Four Various Valleys. View several locations along the way with some beautiful panoramic shots of small villages, incredible scenery, and landscapes. Definitely an experience you would not want to miss! Discover Marrakech’s verdant oasis from the top of a camel on this sunset camel ride through the Palmeraie, a huge palm grove a short drive from the city. After being picked up at your Marrakech hotel, you will head to the Palmeraie for your scenic camel ride experience, then you’ll visit a Berber house and have snack and mint tea. Discover the stunning chain of high Atlas Mountains and witness traditional Moroccan culture and rich history, during your day trip from Marrakech to Ouarzazate across the famous 'Tizi N'Tichka' passes 1412 miles (2260 meters) high, the highest in the whole of Africa. All along the road you can see the Berber villages perched on the side of the mountains, sometimes hardly distinguishable from the mountains themselves. 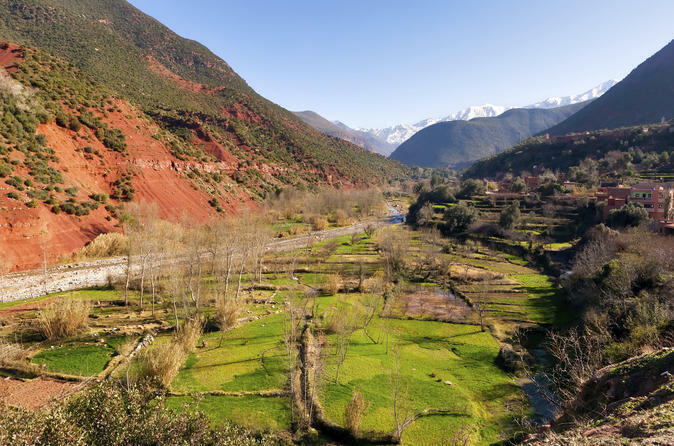 Explore the Atlas Mountains and Valleys with an expert guide. 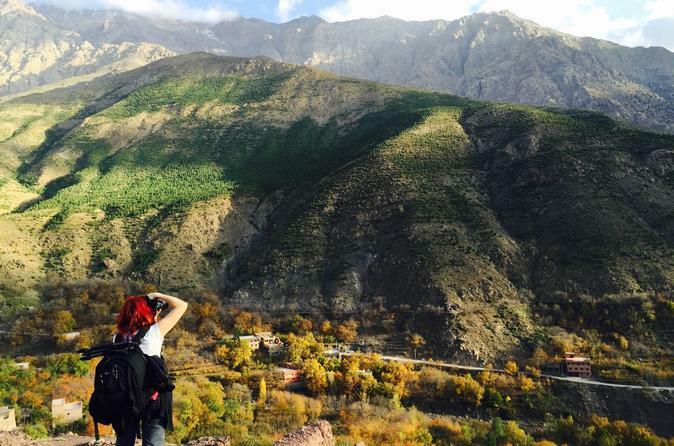 Discover traditional Berber villages and see Mount Toubkal, the highest peak in North Africa. Visit the waterfalls of Imlil. 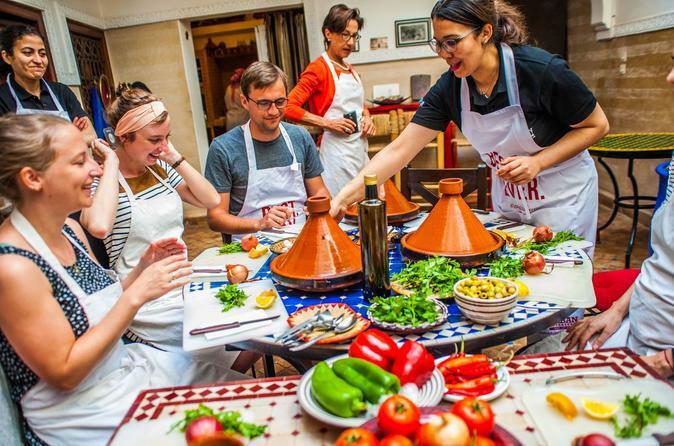 Have lunch in an authentic Berber home and see how the Berbers live. Camel ride and walk for 1 to 3 hours. Head out of the hectic medina and discover a slower pace of life in rural Morocco on this full-day camel and quad biking tour from Marrakech. Follow your guide along the desert trails on camel-back and enjoy panoramic views over the palm groves. Enjoy a cup of Moroccan tea with local villagers. 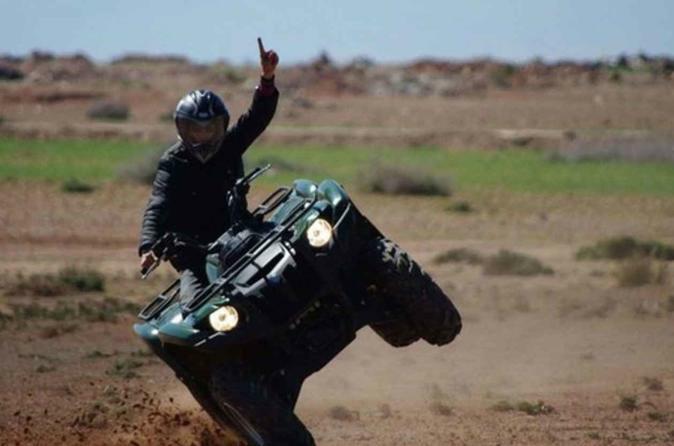 After a traditional tagine lunch, hop aboard your quad bike for a high-octane spin through the desert. Discover rural Berber farms and villages, and enjoy personal attention from your guide on this small-group tour, limited to five people. 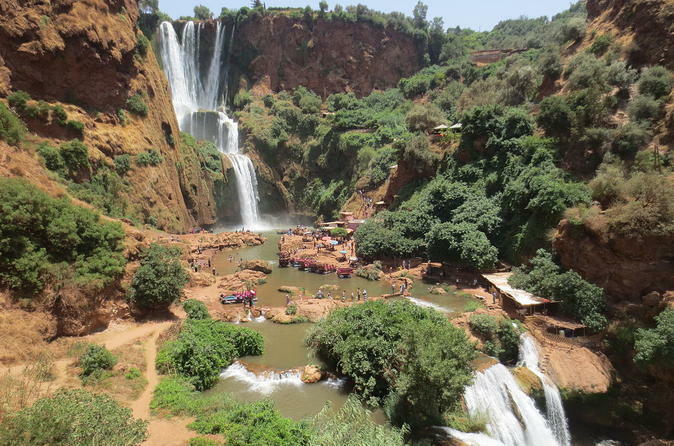 Admire one of Morocco’s natural wonders on a day trip to the Ouzoud Falls from Marrakech. Travel into the Atlas Mountains by and air-conditioned vehicle, and witness the stunning, 360-foot (110-meter) waterfalls as they plunge down rugged cliffs. Take photos from various viewpoints, and, if you wish, visit the caves that house watermills powered by the falls. Watch for local Barbary apes or rainbows above the cascades, and savor lunch at a restaurant along the shaded waterfall path. Nestled in the High Atlas Mountains, just a 150 km away from Marrakech, the Cascades d'Ouzoud is one of the most remarkable of the natural wonders to be found in the Atlas mountains. These 110-meter waterfalls, the highest in North Africa, are inspiring in their majesty. This day trip departing from Marrakech will allow you to explore the paths to the bottom of the falls take you through the groves of olive trees and offer many fine views of the falls and their surroundings. Follow other paths to the top of the falls where you can see many grain mills (from which the falls get their name), as well as an astonishing view looking down on the cascades. 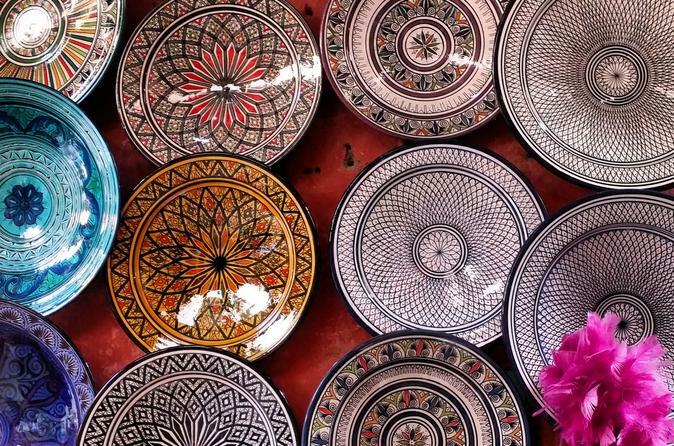 Receive a Moroccan masterclass on this Marrakech tour that will send you home with supreme, inside knowledge of tajine making and the delicate art of market haggling. Smug home cook alert! This small-group tour is limited to 12 people for a more intimate experience. Get ready to experience the magic of the Sahara and share a 2-night tour with a small group. Step off the beaten track to explore rural Morocco in style on this 2-hour camel ride from Marrakech. Wrap your included protective scarf around your head, climb onto your camel’s back and follow your guide on a journey of discovery. 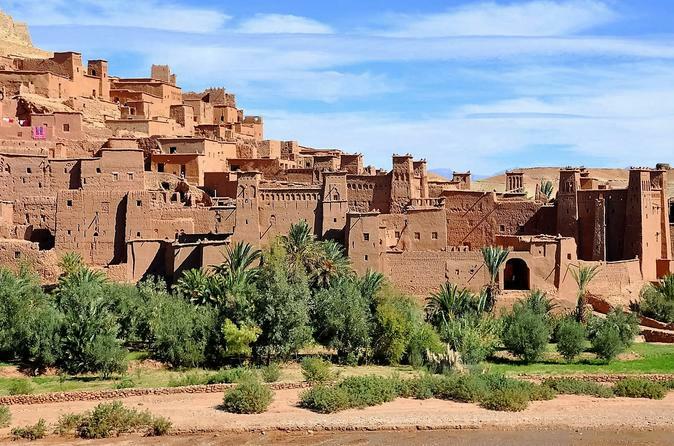 Travel through lush palm groves and over rugged terrain to a traditional Berber house. 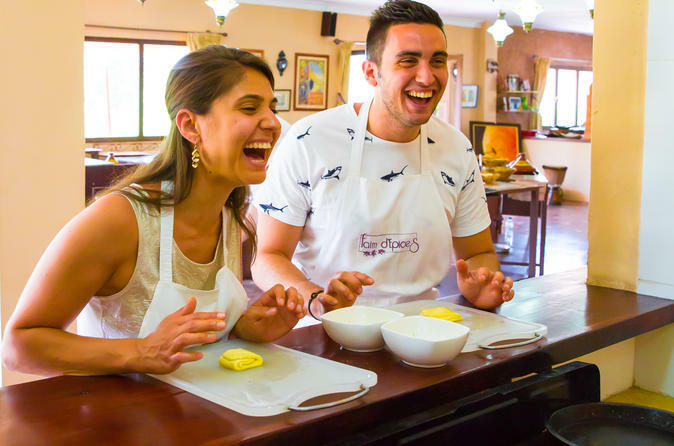 Meet the locals and enjoy a refreshing snack of Moroccan tea and pancakes — the ideal way to learn about Moroccan culture outside the city. Numbers limited to 16 people to ensure a personalized experience. Experience the history and drama of old Morocco on this day trip across the Atlas Mountains from Marrakech. Cross the Tizi-n-Tichka pass to reach Aït Benhaddou, a well-preserved kasbah and UNESCO World Heritage site. This is where movies including ‘Lawrence of Arabia,’ ‘Star Wars’ and 'Gladiator' have been filmed. 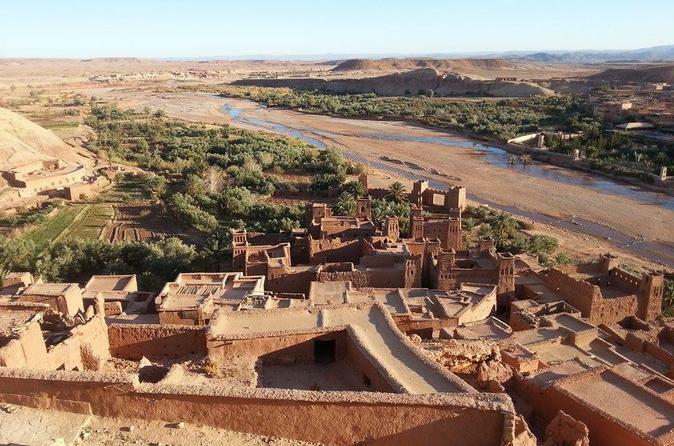 Admire panoramic views of the berber villages. Throughout your tour, your guide will share stories about this fascinating region with a timeless feel. This small-group tour is limited to 7 people for a more intimate experience. 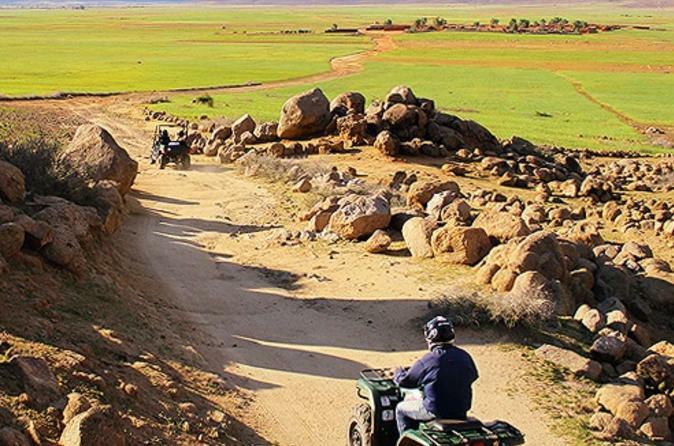 Explore the rugged desert, wild palm groves and rural Berber villages outside Marrakech on this tour by 4WD quad bike. Meet your guide, master the controls of your bike and head out for a desert adventure through sprawling palm groves, dry riverbeds and ancient volcanic landscapes. Stop for a cup of Moroccan tea with a local family along the way. Numbers are limited to five on this small-group morning or afternoon tour, ensuring you'll receive personalized attention from your guide. Experience Marrakech’s green palm grove from atop a camel on this sunset tour through the Palmeraie area. Get a feel of Marrakech and enjoy this personalized door to door Marrakech city tour. Explore the ancient city walls, the splendid palaces with their Moorish iconic architecture and discover the prestigious Majorelle Garden, with its French-influenced architecture and connection to the French designer Yves Saint Laurent before you finish your private tailor-made tour in beauty and style with a memorable drive in the Majestic palm grove, a lush oasis of calm, where Arabian Kings build palaces and some of the world's top celebrities go on holiday (upon request guided camel ride can be arranged in this beautiful oasis with plenty of laughter!). Your multilingual driver and expert guide (if option selected) will be at your entire service to assist you and to ensure you discover the best of Marrakech. 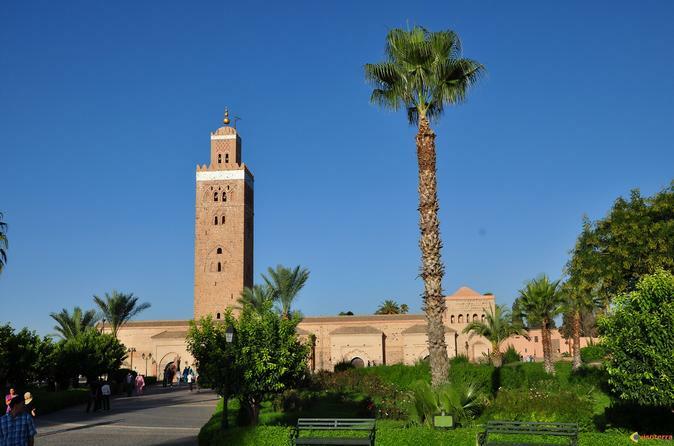 You will be picked up from your hotel in a brand new, air-conditioned minivan and dropped off to visit each monument planned in the discovery of Marrakech. Step off the beaten track and discover rural Morocco on this 4-hour desert and palm grove buggy tour from Marrakech. Swap the city souks and bustling Medina for the rugged desert. Travel rocky trails beneath snow-capped peaks by quad bike with your guide. Soak up spectacular views of natural palm groves, dry riverbeds and ancient volcanic landscapes. Visit a traditional Berber village for a refreshing pot of hot Moroccan tea with a local family, and discover a side of Morocco far removed from the busy city. 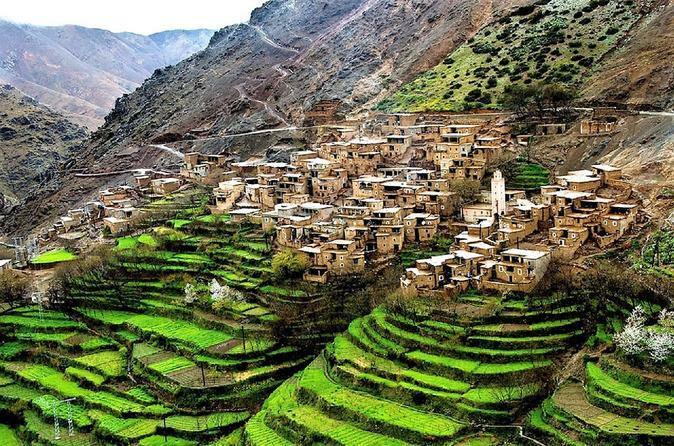 Join this shared small group day trip in the heart of the majestic High Atlas Mountains with its snow-capped peaks, lush valleys, berber villages,fruit trees, refreshing waterfalls, and Ancient berber culture. Drive along the scenic mountain road before stopping for a country-style breakfast with the Berber locals in a typical Berber house, take a short guided walk along some of the pretty trails and spectacular waterfalls, have plenty of fun while riding your majestic camel (optional) and testing your camel riding skills and feast on a delicious Berber lunch (optional) full of flavor with your feet in the water! The Ourika valley is a wonderful respite just an hour from Marrakech where you will immerse in the exotic world of the cool Atlas mountains, fresh air and the culture of the Atlas populations, whose generosity will leave you with very warm and colorful memories. 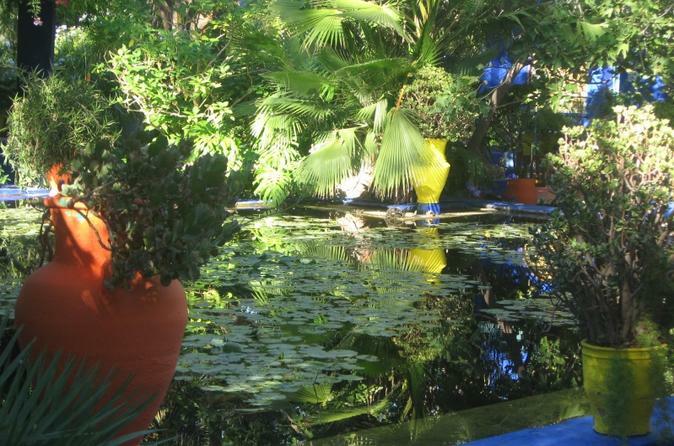 Take time out from the bustling Marrakech streets and journey through the prestigious Majorelle Garden. Explore the intriguing history of Majorelle Garden learning about its French-influenced architecture and connection to iconic designer Yves Saint Laurent. Learn about the Palmeraie-area of Marrakech where Arabian Kings built palaces and some of the world's A-list celebrities go on holiday. In this lush oasis of calm, your majestic camel awaits to carry you through the tranquil palm groves of the Palmeraie, just a few minutes drive from Marrakech city center. This tour offers a 10am or 2:30pm departure. Enjoy strolling along the bustling alleyways and see the mosques, traditional bakeries, old lodging houses and the principal monuments of Marrakesh. On this half-day tour you will get great insight into the culture and people of this exotic city. 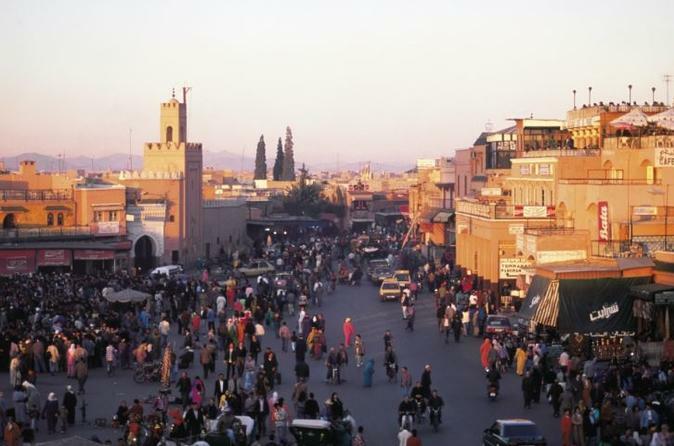 Enjoy being driven along the fabulous old Marrakech city wall, taking pictures of the magical Marrakech medina and its labyrinth of narrow streets and famous historical sites. Wear comfortable clothes and shoes for the walking portions of this four-hour tour. Combine your love for delicious food and cycling on this food tasting tour by bike! 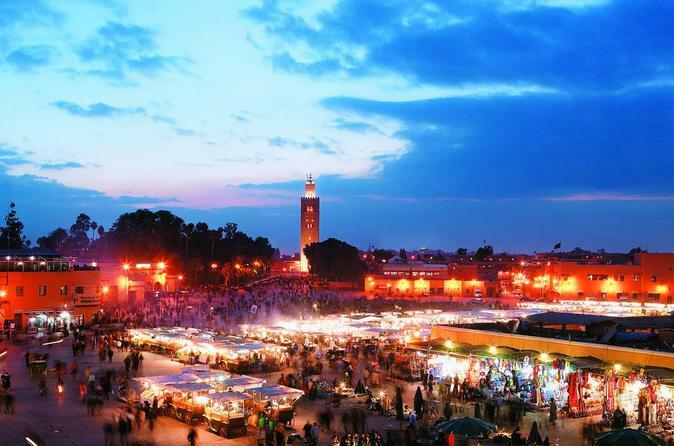 This tour allows you to sample the wonderful culinary delights of the 'Red City' of Marrakech. You will first bike to the famous Jemaa el-Fnaa square and then navigate through the mysterious medina stopping for sweets, meats, and more. This full day small group trip from Marrakech is perfect for those who cannot spare more than one day but anxiously wish to get a glimpse of the majestic desert of Morocco. Travel across the High Atlas mountain range by minivan following the ancient caravan routes and pass a series of lush oases, spectacular kasbahs, and imperial fortified villages. Marvel at one of the world’s cultural treasures classified as a UNESCO world heritage site and the backdrop to many Hollywood movies, the fortified Kasbah of Ait Ben Haddou. 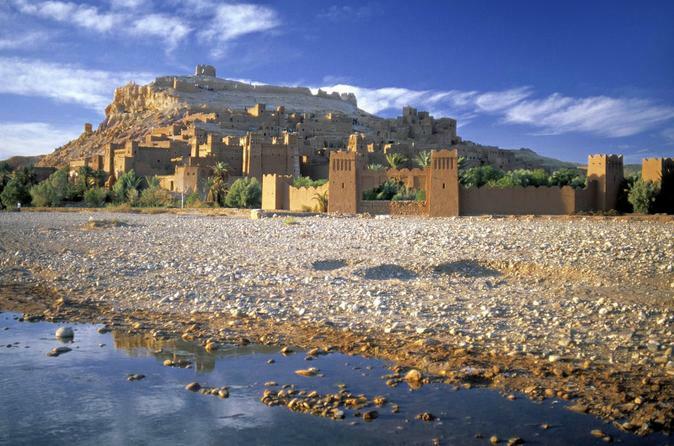 Visit the grandiose Taourirt Kasbah in Ouarzazate. Once there, your majestic camel will be waiting to carry you like an Arabian king, testing your camel riding skills in a festival of laughter and showing you the real hospitality of the Moroccan desert. A one day private excursion to the Imlil Valley mountain region which includes a short to medium trek of this beautiful area of the Toubkal National Park, a Camel ride at Moulay Ibrahim River, a tour of a Berber village and a traditional Berber lunch with mint tea. Not only will you be rewarded with amazing and breathtaking views of the summit of Toubkal and surrounding mountain ranges as your journey takes you past waterfalls, the hamlets of Ait Mizan, Targe and Imoula and provide you with opportunities to take in views of ancient irrigated terraced fields of barley, corn and vegetables surrounded by cherry and walnut trees, but you will experience how the Berber people of Imlil and Ait Souka go about their daily lives. Your guide will point out things of interest and talk to you about the Berber culture and heritage along the way. This 3 day-long trip to and from Marrakech provides the opportunity to encounter Moroccan village life firsthand as you make your way to the home of a Berber family in the High Atlas mountains. The rural, scenic walking is a welcome contrast to the hectic atmosphere of Moroccan cities. 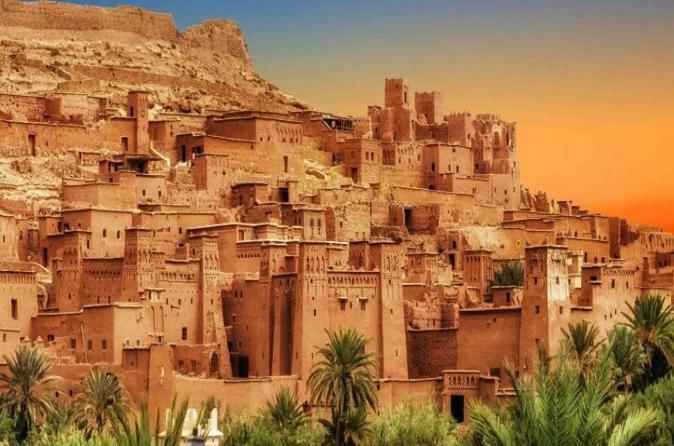 After spending the great time enjoying a meal and experiencing village life, you'll have a good sense of the beauty and hospitality of Berber's indigenous people. on this perfect trip you will have a real experience. Depending on your fitness level, we offer three different trips. The first includes about 4-5 hours of walking every day, the second includes 2-4 hours of walking every day, and the third includes very little walking, visiting a local village accessible by Mule ride. 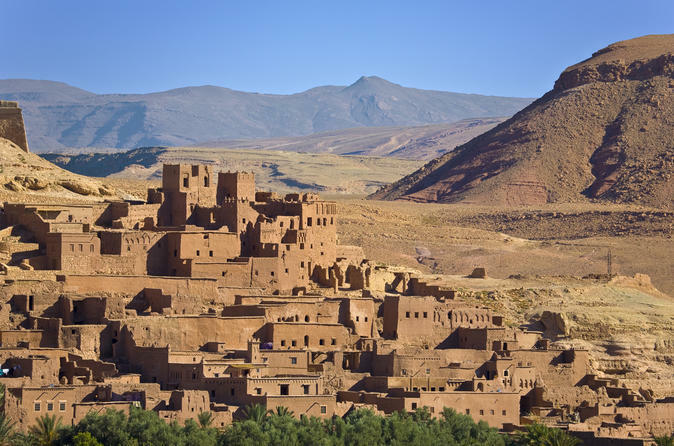 All three include visiting a Berber family and the chance to see Berber village life firsthand. 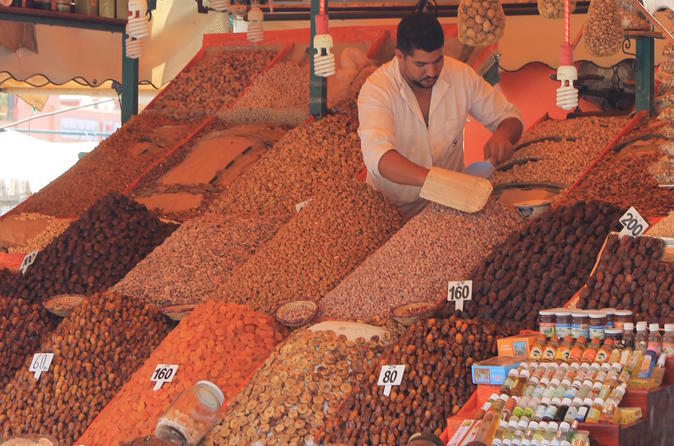 Discover the Medina of Marrakech, and explore the souks. Learn about the unique industries of the Old City. Visit the city gates, palaces, tombs, and Kotoubia Mosque. Finish at Djemma el-Fna, with its snake charmers, musicians and markets stalls. 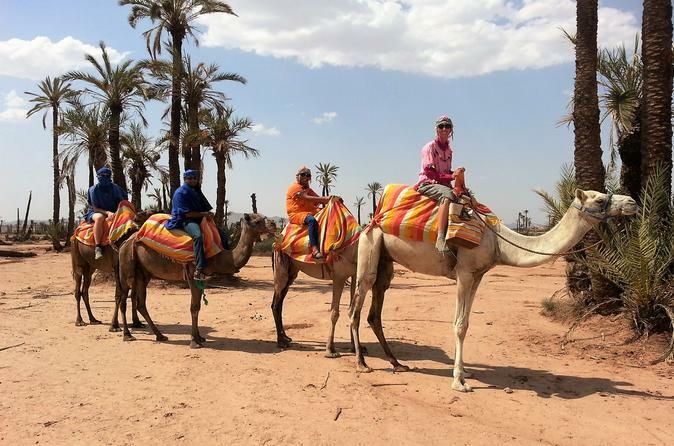 If you’re thinking about a short Sahara desert trip from Marrakech, the Marrakech to Zagora 2 days / 1 night desert tour is one of the most popular morocco desert tours and the closest desert to Marrakech. 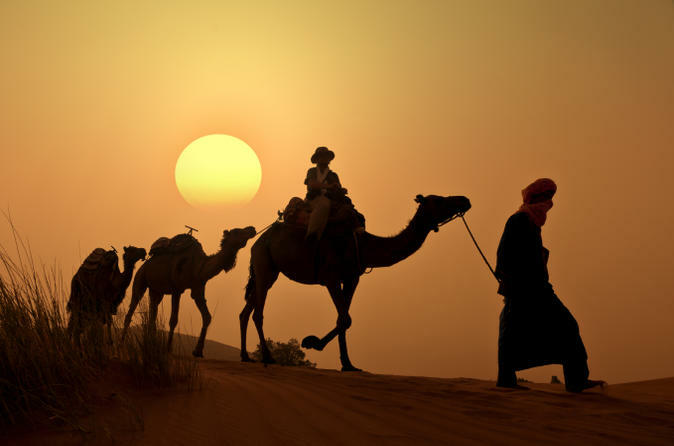 The tour includes the sunset, sunrise and camel ride to sleep in a traditional nomad tent. The tour covers the High Atlas mountains, Ait Benhadou, Ouarzazate, Agdez and Draa river valley. 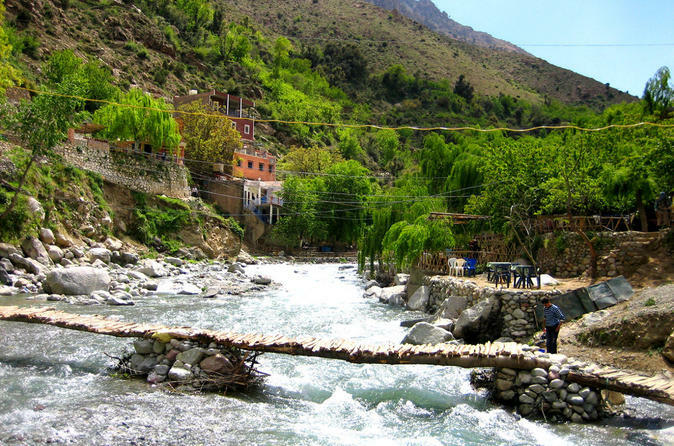 Ourika Valley is one of the best excursion from Marrakech. 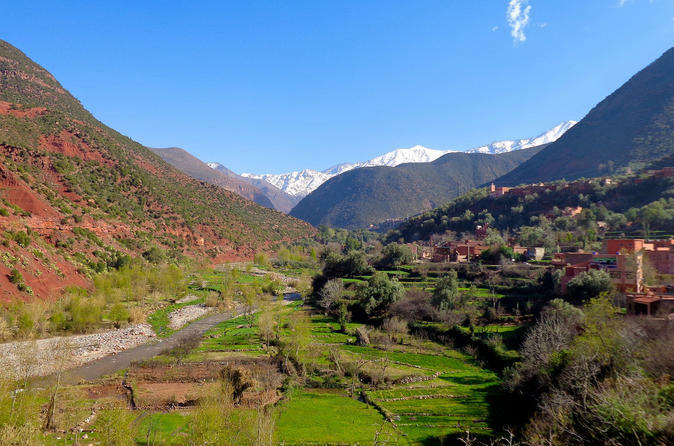 Located in the High Atlas Mountains, 25 miles (40km) away from Marrakech, the Ourika Valley stretches along a vast area from Souk Tnin Ourika to the Berber village of Setti Fatma. 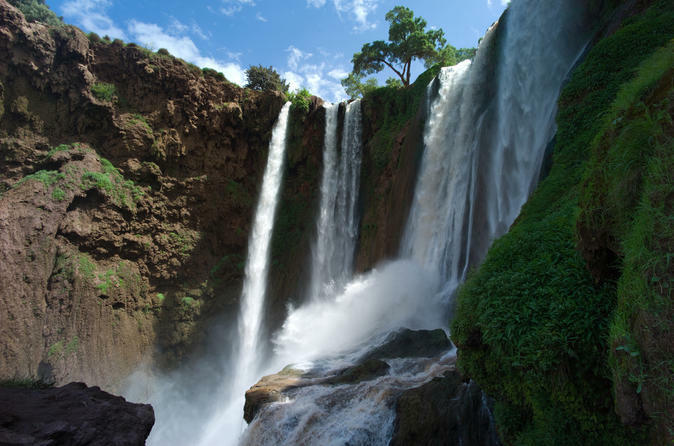 Why not take up a one-day trip from Marrakech to the wonderful Ouzoud waterfalls. This small-group tour using a well-equipped mini-van will give you the chance to be amazed as you will discover some of the most beautiful sites of the Middle Atlas. 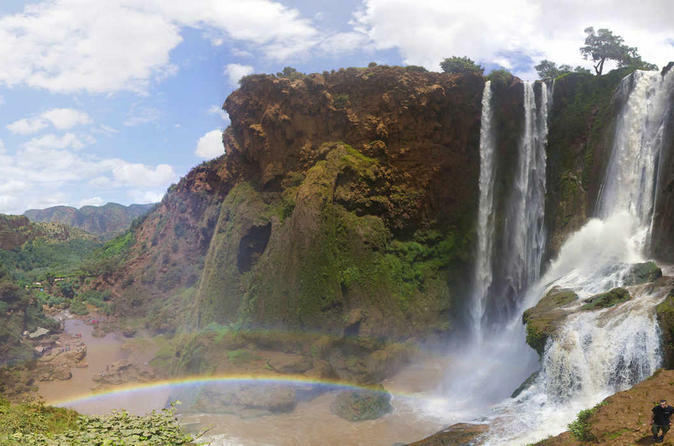 The Ouzoud waterfalls are located 180 km north-east of Marrakech. they are the highest waterfalls in Northern Africa. The surrounding landscape is breath-catching and is home to a range of native birds and monkeys. The waterfall’s 100 meters drop cuts through the middle of a luxuriant crater and it is often enveloped up by a beautiful rainbow. The bottom of the falls is accessible through a well-travelled path, shaded by olive trees. The word “Ouzoud” means "the act of grinding grain" and it seems, the meaning is also echoed through a high prevalence of mills in the region. At the summit of the falls, there are a dozen old, small mills that are still in use. Ourika valley is one of the most beautiful places in Morocco,it is a Berber villages of beauty, charm and chill. The region is inhabited by Berber people who practice a traditional way of life. Despite its proximity to Marrakech, it is still considered relatively "unspoiled"
After departing from Marrakech on a private tour you will be personally transported through the vast and breath-taking Moroccan landscape to Essaouira. On the journey you may see a few scattered villages and some camels, sheep and goats grazing in the countryside. Discover the many faces of Marrakech on a 7-hour sightseeing tour. Experience the bustling Djemaa el-Fna in the medina on foot, visit the Koutoubia Minaret, explore beautiful gardens, such as the Majorelle, Agdal and Menara Garden and much more. 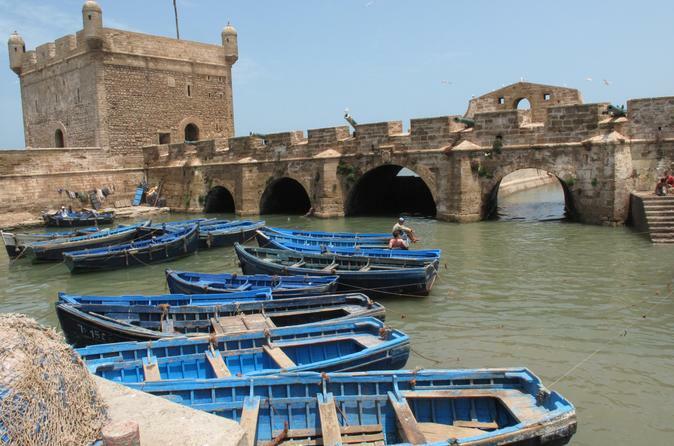 Experience the best of Moroccan surfing and culture with a private or group guided tour to the coastal town of Essouira. Whether you are a beginner or an experienced surfer, your qualified local surf instructor knows the best surf spots along the coast. After lunch discover the vibrant city with a tour that includes the Scala and old town with its Thuya wood workshops. An action packed day to remember. 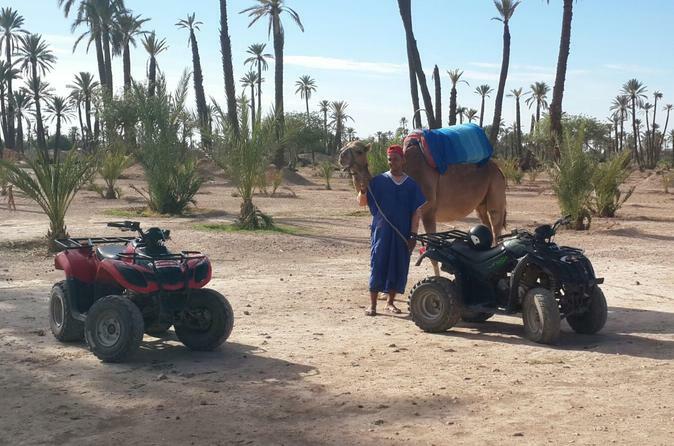 Enjoy two activities and discover Marrakech verdant oasis on this camel ride and quad biking tour activity through a huge palm grove palmeraie area of Marrakech. 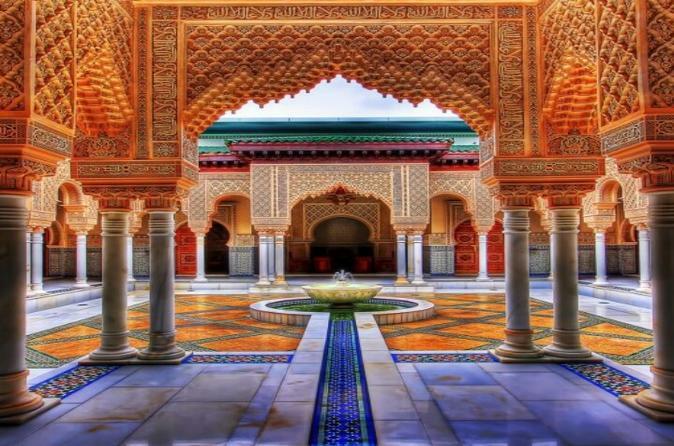 Your private tour from Marrakech. 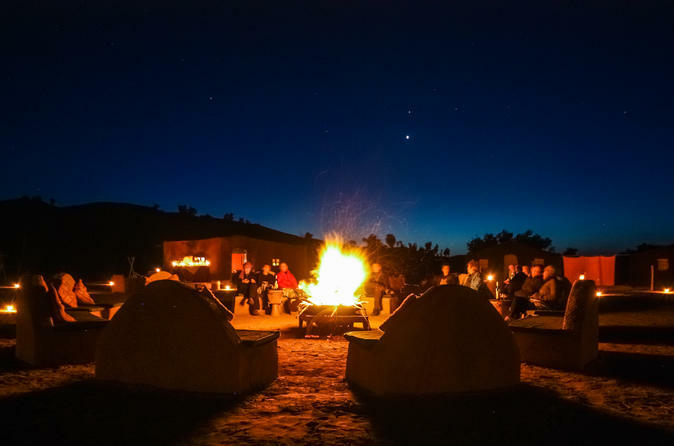 Discover the Atlas Mountains, the old Moroccan palaces (kasbahs), the Draa valle and experience the desert lifestyle night in the camp and big dunes of Erg Lihoudi . 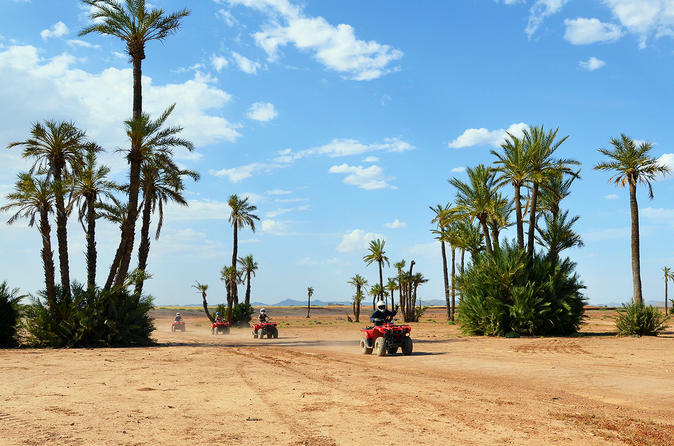 Ride a Quad and discover the beautiful landscapes of the palmgrove of Marrakech . 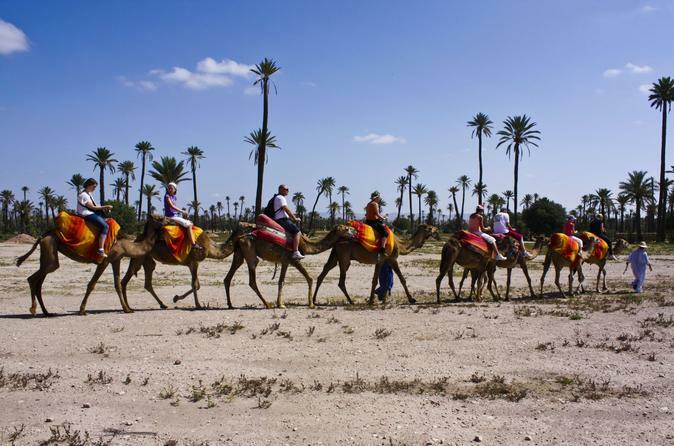 Discover the experience of a camel ride in the palm grove of Marrakech . The Souk of Marrakech is vibrant with colors, smells and sounds. It is simply a labyrinth of hidden gems and alleys within the heart of the old medina. if you are looking for exotic and authentic Marrakech, follow your tour leader into the old fortified city discovering the local culture, craftsmanship, and hidden sections of the souks. Your guide will tailor the tour towards your interests and expectations. simply making your journey in Marrakech genuine and authentic. 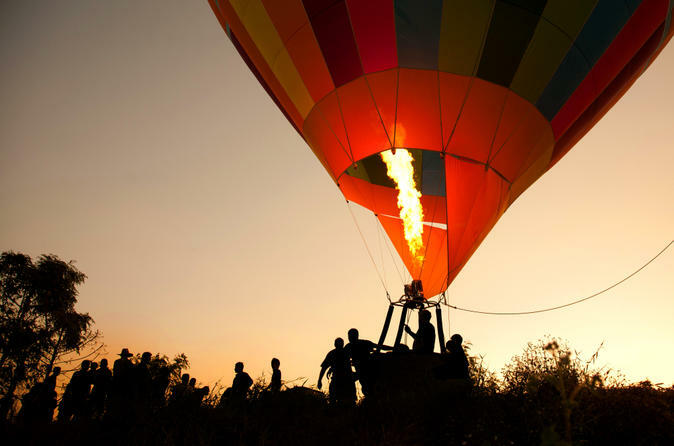 Discover the lure of the finest historical sites, and go in search of mankind's heritage. 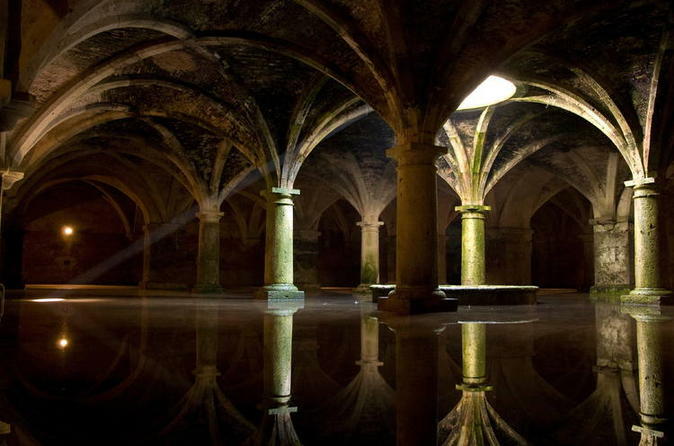 In Morocco, you'll find what you're looking for 15* times over: Explore 15 Moroccan cities and sites listed by UNESCO. All accommodation in 4* hotel or charming riads.